From a musical family, Dan started playing guitar at 14 and was in his first band at 18. 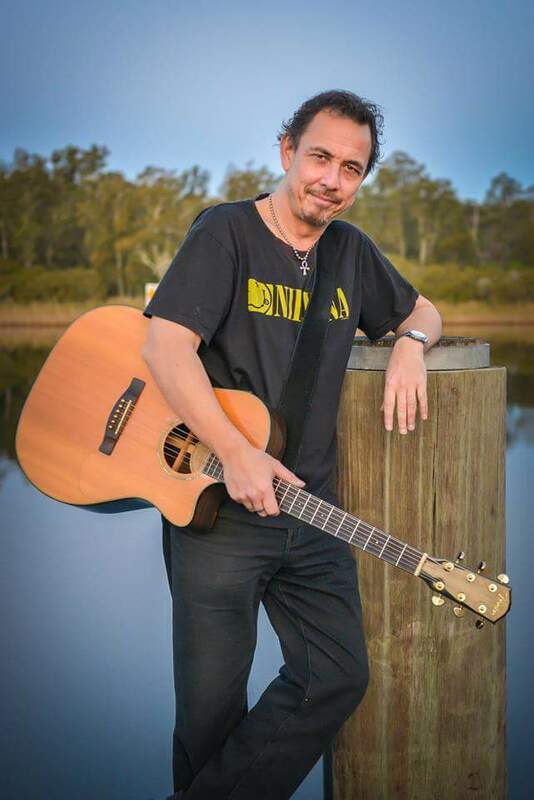 He performed for several years with various cover bands before joining folk/bush band “Currency Lads” in ’96, gigging pubs, clubs, cruise ships and including 3 years as a soloist for Matilda cruises on Sydney Harbour. From 2011, Dan spent 2 years touring NSW country with popular South Coast band ‘Get Shorty’ and this was followed by a permanent position in award winning bush band “Simply Bushed”. Dan can now be found as a solo artist or as part of the duo The Loop and bands Get Shorty (reformed) & 8Ball. He brings a broad range of experience to the band from many genres and backgounds. Dan is an articulate front man and a very experienced singer with multi-instrumental skills.